We are talking about a document that is the most important component of the company's strategic plan that sets market goals and suggests methods for achieving them. If you want to know more about this and get professional academic help, visit crazyessay.com. On the one hand, it is like a map – it shows where a firm is going and how it is going to get there; on the other hand, it is a document that fixes the resources needed to achieve goals – a plan describes resources used to achieve marketing goals. It is simultaneously an action plan, a cost plan and a written document. This is a consistent set of marketing activities, defining goals and proposing strategies for achieving them. 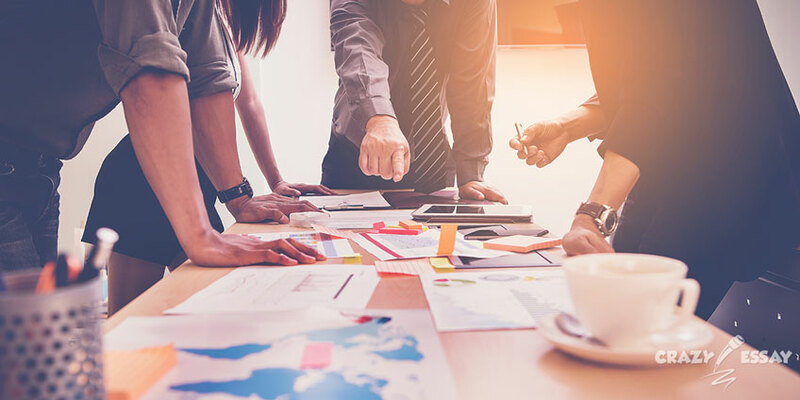 It can be prepared for a single product or a category, but plans of a firm with the goal of being included in a company's corporate or business plan are more widely distributed. Certain components of a plan are mandatory. Some ones can be missed without any harm. The set of actions posed in this document is an excellent algorithm for building a strategy. In order not to speak in a circumlocutory manner, we will consider one of the steps of implementing a plan – the ways of advertising distribution. Before talking about each of these points, we will consider some criteria that may influence their choice. The absence of limitations on the use of a particular means by a customer. These restrictions can be located both within a customer's company and outside it. Insufficient amount of funds allocated for advertising can serve as an example of an internal barrier. External restrictions can be caused either by impossibility of using certain tool. There can be many reasons – from location to technical features and complexity. Therefore, we always need to dwell on what is applicable in this particular place at a given time with the current resources. The means and the characteristics of the target audience. Studies show that the use of television is most effective for establishing links with adolescents; road billboards – for motorists; advertising in business publications – for expensive/elite goods, etc. Inappropriate notifications in wrong places can cause significant damage to your business, so remember about it. Characteristics of a media channel and ones of a product that is advertised. Practice shows that advertising of production goods is most effective in special magazines designed for professionals; cameras – on television; women's clothes – in catalogs and magazines, etc. The chosen means of advertising appeal transfer should have a maximum of opportunities for a visual and reliable presentation of production. Correspondence of the form of advertising appeal and the means of its transfer. For example, newspaper and magazine publications correspond more to appeals using rational motives, which have the form of an announcement. Television, print advertising and radio will better convey emotional motives. Desired audience response time. If you need to urgently transmit information about sales or presentations that are due in the coming days, it is natural to use radio, newspaper, and local television. A long-term advertising campaign, designed for many months and even years, can use an advertising video, an advertising poster (especially when using production scenes) and other means as a media channel, the production of which takes a lot of time. The choice of the optimal means of transferring advertising appeal depends on many factors. At the same time, each campaign is unique in its own way, which is related to the specifics of a sender, a product, peculiarities of situations prevailing in the market, etc. All this implies the need for a creative approach. Specific factors of the effectiveness are: the technology of imposition, its place on the page of a newspaper (magazine), and a composition. One of the most effective mediums of advertising in press is specialized publications. However, here you need to pay attention to the fact that this is a rather old form of notification about a product and many people tend to skip such messages when reading any paper medium. In this case, you need to consider options to attract attention in the form of a vivid picture, an interesting slogan, etc. It combines such mediums as a flyer, poster, booklet, catalog, brochure, postcard, calendar and other types of printed matter. Lack of information about competitors on a specific medium, etc. Make sure that your paper medium is well compiled and attracts attention, otherwise, it runs the risk of being in the trash before it is read. Now, this is one of the fastest growing areas. This is facilitated by the expansion of the number of radio stations. Competing with each other, they pay much attention to the diversity and content of their programs. Just like other media, radio stations begin to differentiate the audience, entering new segments of their market. Among other factors contributing to the growth of radio popularity, there is increase in the number of personal cars, which usually have radios in salons. Relatively low level of advertising tariffs. Like no other means, radio is ubiquitous. It is listened to at home, in transport and at work. Radio programs can be listened to sometimes, without being distracted from the main occupation at this moment. All this contributes to the fact that indicators of reaching the audience and the frequency of radio advertising, as a rule, are very high. Radio is especially attractive as a media channel for a local advertiser. This is due to the ability of radio to repeat information many times during the day and to motivate consumers to purchase goods at specific outlets. Tariffs are relatively low, which makes it possible to apply it even in small businesses. Among the shortcomings – its fleetingness, only sound without image. This is a media channel that conveys advertising messages to recipients with printed posters, painted billboards or light boards installed in places of the liveliest traffic, as well as along highways and railways. High level of impact on the audience. It is necessary to include the long terms to the disadvantages of the channel. Outdoor mediums are exposed to atmospheric conditions and this must be taken into account. Full control of the effectiveness of a campaign on the Web. It is a modern means of marketing communications in the business sphere. Mediums are data flows in global computer networks. The main forms of advertising on the Internet are: banners, Web pages, e-mail, mailing lists, etc. As can be seen from the above, all channels have their own pros and cons. This requires a careful study of the specific situation in each individual case. Therefore, by combining the use of several media channels, you can get better results of a campaign than in the case of using only one channel. If you need a more detailed and in-depth analysis of these channels, then you can contact the experts in the field of marketing papers – they will do everything you need in the best possible way. For a campaign of small firms, it is advisable to pay attention to such media as magazines (prestige, high quality of reproduction, the large number of "secondary readers", reliability), print mediums (significant contact duration, absence of competitor advertising on a specific medium) and newspapers (efficiency).